← Green IT: Our Survival Depends On It! Much of modern society, particularly young people born in the 80s and 90s, seems to be somewhat obsessed with two seemingly contradictory things: nostalgia and cutting-edge modern technology. They want to conjure up the warm feelings of childhood but update them to be more usable. Odd as this may be, it produces some remarkable instances in which the two can be melded into one item that features both vintage elegance and brand-new functionality. A new concept car, announced in March and identified as “Project Detroit,” is one such item. It takes as its base the vintage appeal of a 1960s-style Ford Mustang and dresses it up with a diverse array of ultra-modern technological add-ons. 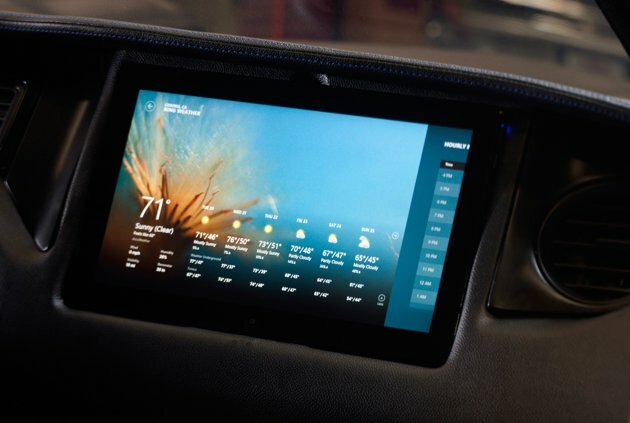 Microsoft, in cooperation with a company called West Coast Customs, developed their concept by integrating a series of Mustang accessories that include one Windows 8 tablet to replace the dashboard gauges, and another on the passenger side where a user can surf the web or create messages to display on the rear window of the car. The concept vehicle is equipped with cool neon lighting in the wheels and behind the front grille; it has an Xbox and projection system in the rear, and even trends towards real-life Batman or James Bond technologies by implanting Kinect cameras that allow the owner to use his or her smart phone to see the area surrounding his car at any time, from anywhere. The same cell phone interface can be used to locate the car, to unlock or start it remotely, and even to speak through an external PA system. The Ford Mustang is eminently customizable. Individual owners tend to tweak the design to their own personal tastes, a fact which Ford has emphasized in its marketing for the latest line. The same trend leads many professional designers and companies from peripheral industries to create concept cars based on virtually every Mustang line. These might make drastic alterations and try to anticipate future design trends and consumption patterns, but they are generally based on the unique beauty of a particular Mustang frame. The only thing more modern than a brand-new, standalone concept car is something like Project Detroit, which taps into the Zeitgeist of 2012 by utilizing an older frame design and providing consumers and car and tech enthusiasts with a glimpse of a vehicle that seamlessly melds classic Mustang parts with just-released or not-yet released communications technology. Many consumers and casual observers are likely to be of the mind that the pinnacle of style was decades ago, but the pinnacle of substance and function is right around the corner from where we’re standing. After getting more info on Project Detroit, you’d probably like to learn more about classic Mustang parts. Guest post written by CJ. This entry was posted in Microsoft, Software, Technology and tagged business news, business partnership, case study, innovation, marketing, technology, trends. Bookmark the permalink.